Prepare for an edge-of-your-seat thrilling ride in the Samuel L. Jackson starrer “Big Game,” an action-adventure story that follows a 13-year old boy named Oskari, sent out into the wilderness on an ancient test of manhood, only to find himself racing against time as he and the President of the United States try to survive after terrorist strike down Air Force One. The contrast between Oskari and President is striking, they’re both fish out of water, forced to fight for survival in a world very different from the one they’re used to. When Oskari (Onni Tommila) first comes across the President (Jackson), he feels he’s falling miserably at his task but finds comfort in seeing the President is just as scared as him. Oskari soon learns that it’s okay to be frightened and in trouble, the only question is what he prepared to do about it? The President reluctantly follows Oskari through the woods, quickly realizing that he’s not a great hunter. They reach Oskari’s quad bike and supplies, but Oskari refuses the President and the use of his vehicle, still wanting to complete his own mission and prove himself to his father. He drives further into the wilderness with the President still in tow. As night falls, they arrive at the map location that the boy’s father has identified as the perfect place to hunt. Around the campfire, the two discuss the difference between really being tough and simply appearing so. Next morning, they set out on Oskari’s deer hunt, only to discover a freezer running on a generator. Humiliated, Oskari learns that his father has left him an already killed deer so that he can cheat his wilderness test. 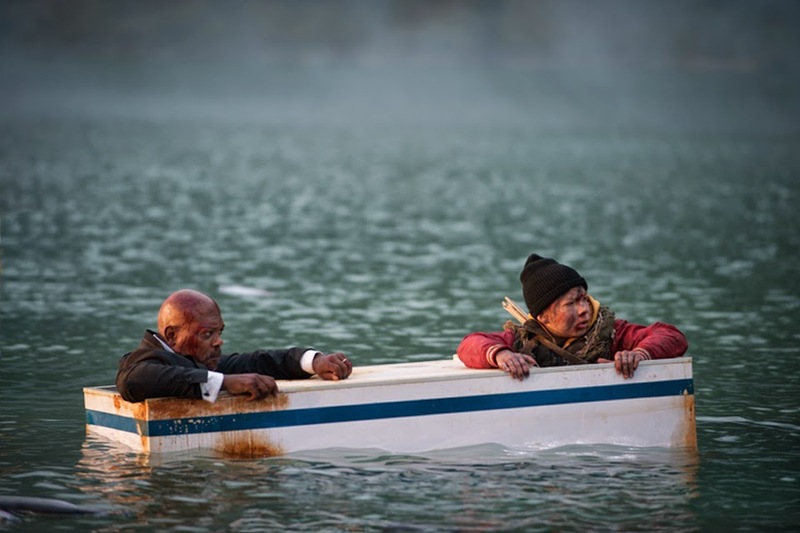 The President then consoles him, saying he owes his rescue to him and believes in him. “Big Game’s” inspiration comes from the classic action movies such as “Die Hard,” director Jalmari Helander naturally looked for the movie’s action sequences to amaze the audiences. Stunt coordinator Mark Sieger illustrates how the production team pulled out all the stops to thrill viewers unlike any. 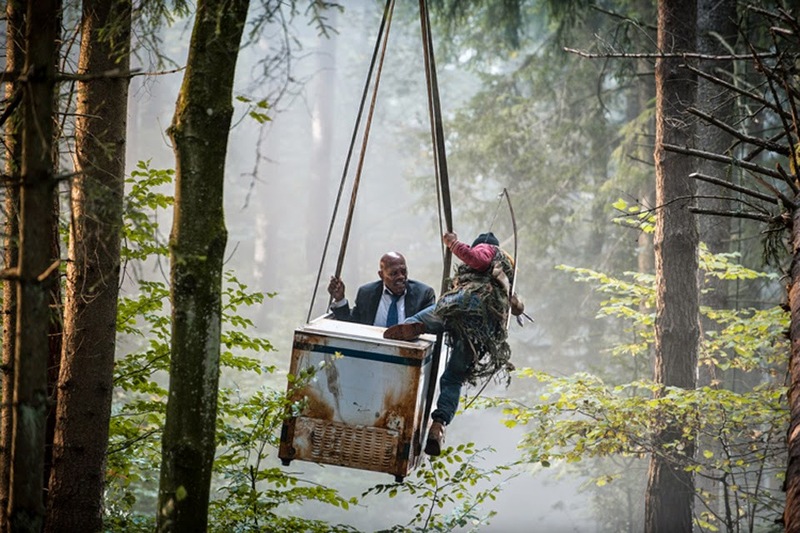 While most of the action takes place in spectacular forest locations, there was nevertheless also the need for some intricate studio work, including the on-set construction of a detailed Air Force One. “I loved the idea of the plane crashing in the water,” Sieger continues, and we had a studio where we built the entire upper deck of the plane: half in the water and half out. There’s an explosion where Samuel and Onni fly backwards from the plane into the water. That was an exciting day!” enthuses Siegel. Thrills and spills were clearly the order of business then, but Helander has no doubts about what he hopes his audience will take away from the film: “I think it is big and epic with a lot of good old fashioned action, nice 80s style blockbuster action, but still with a big heart." 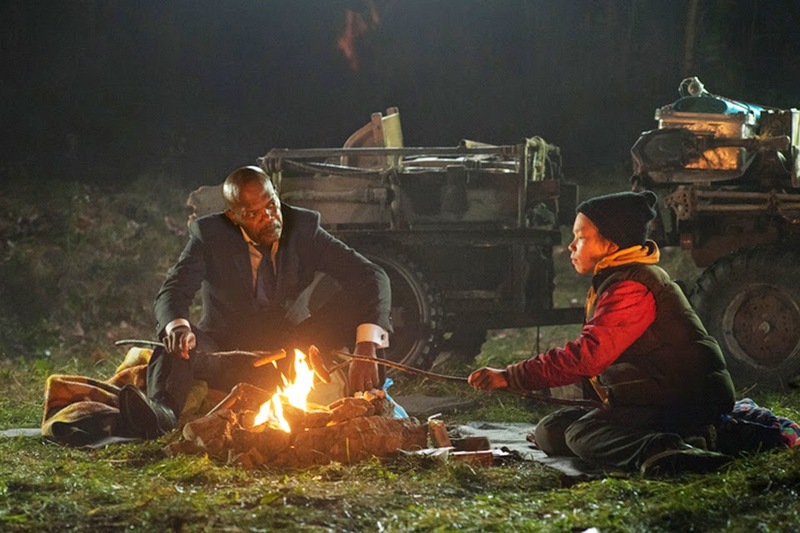 “Big Game” will open May 6 in cinemas from Pioneer Films.